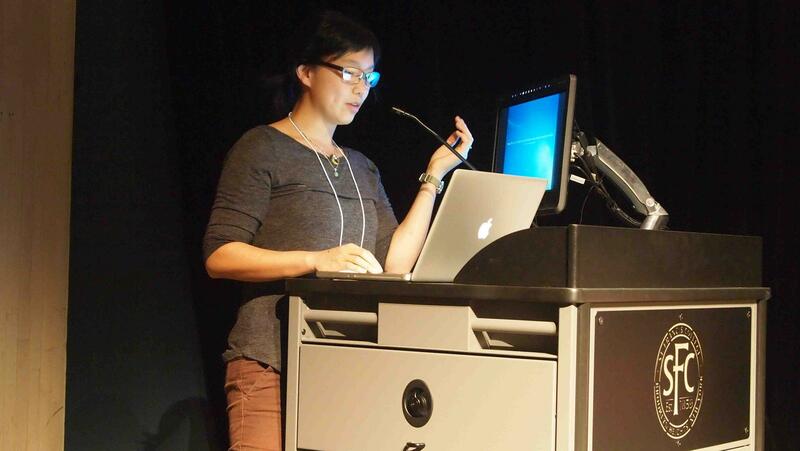 Artist and professor Helen Lee at the 2015 Robert M. Minkoff Foundation Academic Symposium. What's the average starting salary for a glass professor at a private art college? How about someone starting at a state school? How much debt is incurred on average to earn an MFA in glass? Until now, these questions, and more basic ones such as the going rate for a glassblowing assistant in the hot shop, have simply been unavailable. Now, artist and assistant professor Helen Lee, who heads the Glass Lab at the University of Wisconsin-Madison, is trying to crunch these numbers as part of an ambitious confidential research project she is undertaking to collect and analyze data on how much people are paid for their work in the glass art arena. Lee will share a summary and analysis of the results of her survey at the 2017 Robert M. Minkoff Foundation Academic Symposium at UrbanGlass. As an incentive to participate, those who take part and include an email address will receive a detailed report on the project's findings. Over 100 responses were received in the first two days, so this project promises to provide a significant sample size. "I am inviting you to participate in a survey on income amongst glass professionals and student debt load from an education in glass," reads an email that began circulating September 1, 2017, to individuals connected to the world of glass art and design. "What’s the going rate for the work you do? What should you be charging for your labor? As an academic, I am also interested in understanding what the student debt load is for an education in glass. While there are numerous resources that look at these questions for the larger art world, I think it is worth having these discussions specific to our field. I’m conducting this survey to create a resource for the glass community that addresses income and debt in glass." The survey is being emailed to over 1,000 of those Lee has identified as "glass professionals," who she defines as those over 18 who work in glass or have studied glass at the university level. The information in the survey safeguards participants' identities and is strictly confidential. The survey was created in consultation with the University of Wisconsin-Madison Survey Center, and the project has been approved by the Institutional Review Board of the University of Wisconsin-Madison. According to the survey, "Only members of the research team will have access to the study data. You may skip any item that you would prefer not to answer, and your participation in this survey is voluntary." Lee encourages those who have received the emails to please click the unique link they have received in their personalized emails rather than the general link that is listed below as the data will have more precision if one responds to the emailed survey. As Lee writes: "The strength of this resource is dependent on your participation." 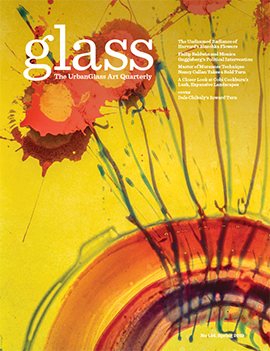 GLASS: The UrbanGlass Quarterly, a glossy art magazine published four times a year by UrbanGlass has provided a critical context to the most important artwork being done in the medium of glass for 35 years. UrbanGlass’ studios are not regularly open to the public. 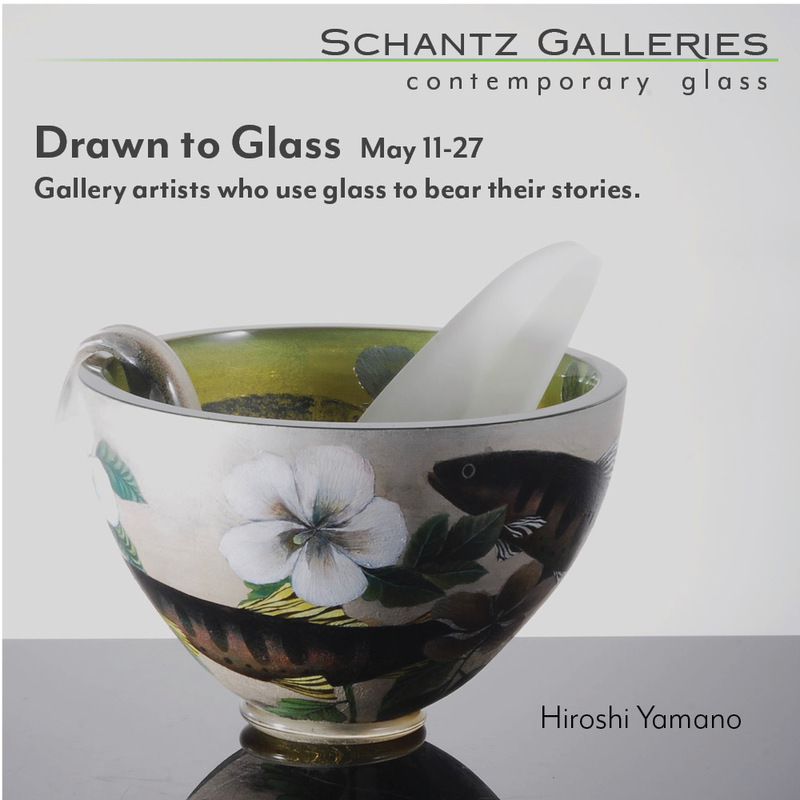 Please check our Visit Us page for more information on how to visit and see the studio.